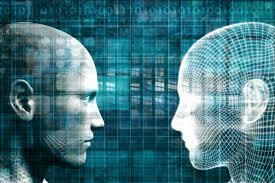 NEW YORK, NEW YORK, UNITED STATES, November 8, 2018 /EINPresswire.com/ — As the artificial intelligence revolution continues gathering incredible pace, two big names are leading the way according to Lee Bressler. An investor and technologist from New York with a focus on artificial intelligence and machine learning, Lee Bressler calls AI technology Wall Street’s ‘new kid on the block,’ with the market set to be worth a staggering $70 billion within two years based on projections from PricewaterhouseCoopers. Exploring three of the best-rated stocks according to Wall Street’s top analysts, Lee Bressler first turns to Microsoft. Microsoft Corporation (NASDAQ: MSFT) recently acquired California-based AI startup Bonsai in a continued effort to drive its advances within artificial intelligence technology. Marketed as the world’s first deep reinforcement learning platform for enterprise, Microsoft hopes to enhance its own research into AI by leveraging Bonsai’s ‘Azure’ cloud platform. Bonsai marks the third AI acquisition for Microsoft, alongside SwiftKey and Maluuba, in less than two years. Wall Street remains largely bullish on Microsoft, yet many analysts suggest that the market is undervaluing the company’s ‘extremely compelling’ story, particularly surrounding AI, machine learning, and cloud computing technology. “Microsoft currently floats a strong buy consensus rating,” says Lee Bressler. Analyst price targets on the stock reflect a greater than 13 percent upside from current levels. Three of NVIDIA’s current big projects center around deep learning neural networks, real-time facial recognition, and AI-powered video analysis solutions, Bressler reveals.